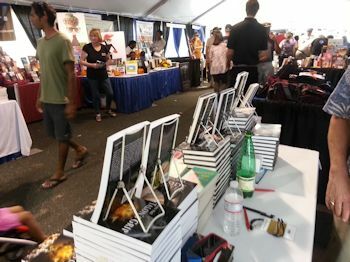 Every year, Texas author Russ Hall rents a booth at the Texas Book Festival, a downtown event that draws more than 40,000 readers from all over Central Texas. 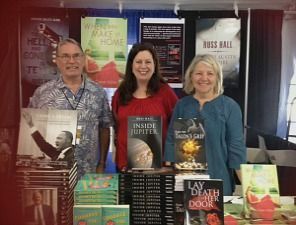 This year, Russ shared his booth with my romance-writer friend Claire Ashby and me. Nowadays, whether you are traditionally, indie or self-published, you have to sell your own books. Claire and I learned a lot about that from Russ over the weekend. The three of us all have books out with Red Adept Publishing—Claire’s and my first books and Russ’s most recent. We all prepared for the book festival by having posters made of our cover images. 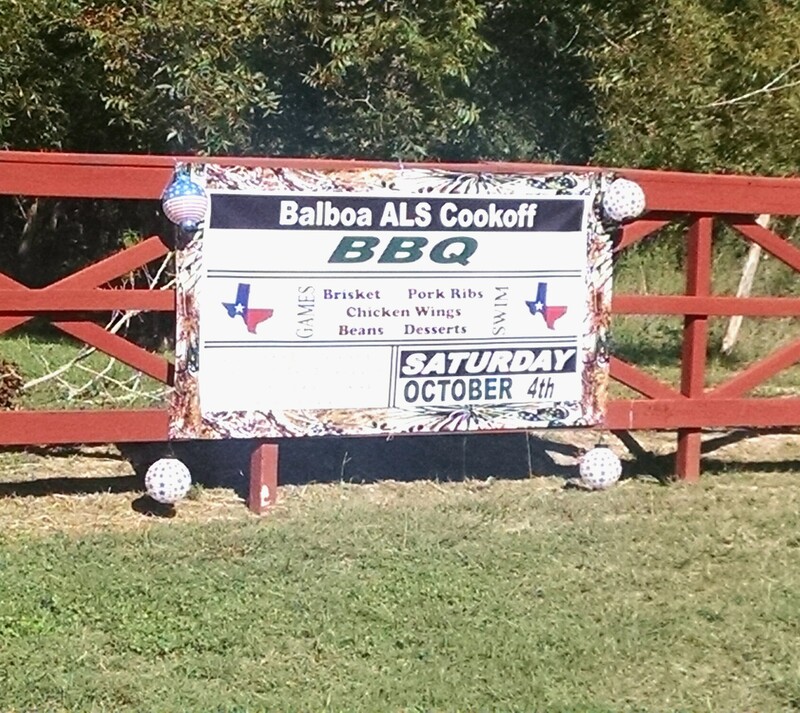 The posters are good to have; they’ll come in handy at nearly any local event. A good cover can play a major role in the success of your book. The three of us are happy with ours by Streetlight Graphics, cover designers who subcontract with Red Adept. Consider using them if you are choosing your own cover. And just for laughs, check out these Nine Cover Mistakes to Avoid from Book Bub Unbound. At the book festival every year, Russ shifts into what he calls his extrovert-for-a-day mode. It’s not the most natural state for the average writer, but it’s not that hard to cultivate, either. Russ taught us to greet people and make friendly conversation about the weather (it was HOT in that tent! ), the crowds (BIG! ), and the festival in general (so much to see). Be ready with a quick, catchy description of your book—its genre and its hook. Claire and I struggled on this learning curve. Ask yourself: how would you describe your book in one or two sentences to make it sound like a great read? Practice your pitch! I learned to throw out the fact that I used to work at the Attorney General’s Office. It gave me and my mystery credibility. Russ also taught us to make sure people realized we were the authors, not just vendors. It made a difference! We ended up signing every book we sold. It was fascinating to see the cover-title-blurb progression in action. The cover is the first thing that sells your book to a casually browsing shopper. We could see people’s eyes get caught by a cover, then they would read the title, then pick up the book and turn it over to read the back cover. 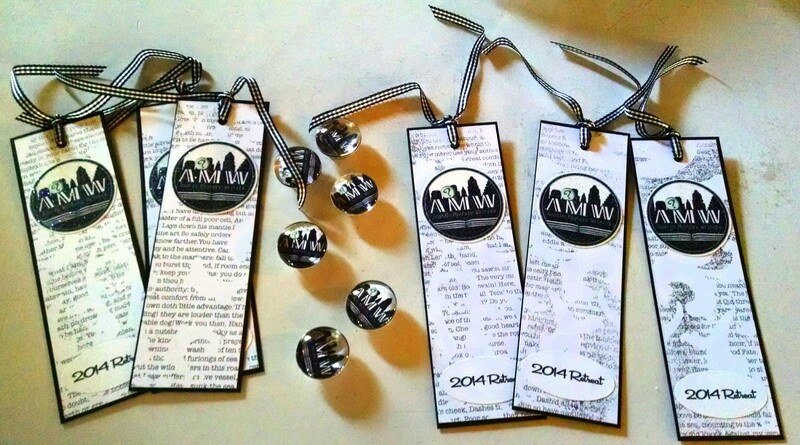 Be sure to take bookmarks! Mine included the graphics from the cover, the title and the hook paragraph from my back cover. I found I could easily pull people over by reaching out and offering a bookmark. One woman took the bookmark from me without pausing or even really looking at me. We watched her walk past us, glance down, then slow down, reading. Then she stopped and stood there. She turned around, came back, picked up the book, and read the back cover. Sold! I went through 200 bookmarks and could have used more. Who knows? Maybe some people went home and read the bookmark later. If they like mysteries, maybe they’ll look it up on Amazon. Will you have a book out next year? Get your poster and bookmarks and sign up to hawk your wares at next year’s Texas Book Festival! Where a good time is had by all. Or who let the deus ex machina out, what’s a plot, and is this about cannibalism? 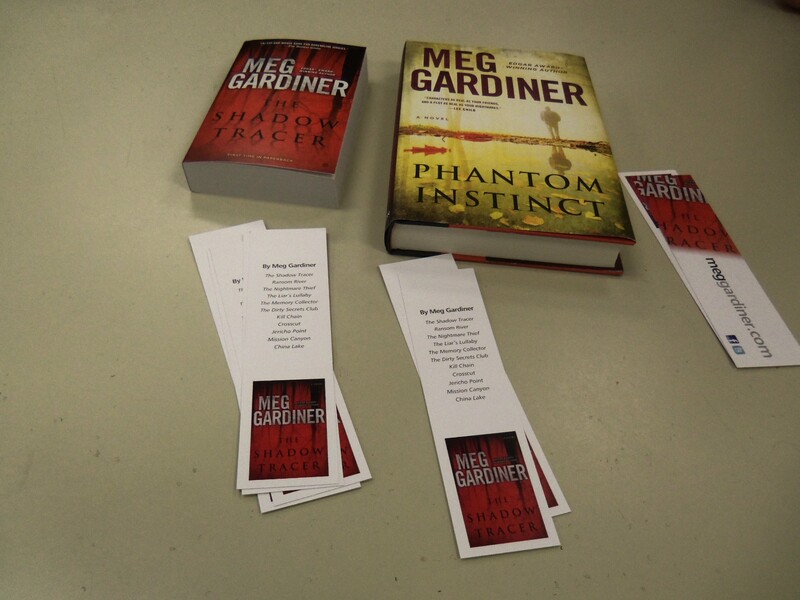 Is Edgar award-winning thriller writer Meg Gardiner talking about cannibalism? No, she did not advocate turning people into crackers in a malnourished dystopian future. 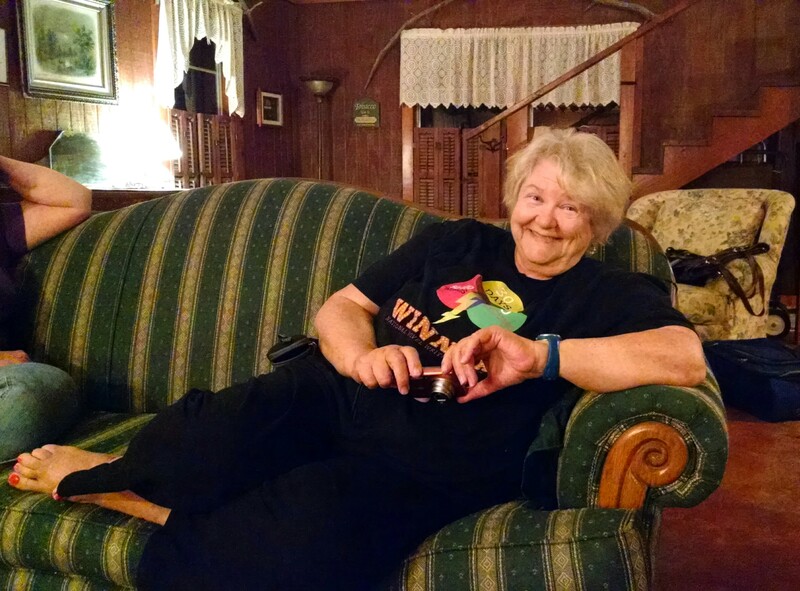 She talked about plotting novels during her August 10 presentation at the Sisters in Crime: Heart of Texas chapter monthly meeting. She used Jaws as an example. “The first chapter shows what needs to happen at the end of the story. There’s a set up there. The protagonist must defeat the antagonist.” You know from the beginning that somebody has to do something about that shark—pronto! That shark can’t be washed ashore six months later on a beach in South Carolina and die of indigestion. The protagonist and antagonist must engage in hand to hand combat, or hand to fin, as it were. The protagonist desires something and the job of the antagonist is to throw a monkey wrench into the works. The antagonist is a critical character who keeps the protagonist from getting what she wants. You need a strong, active protagonist. If everything happens easily for a protagonist, it’s not a story. She doesn’t need to be Sylvester Stallone, but she’s not going to fold when the going gets tough. The protagonist doesn’t go with the flow, she’s willing to put herself out there and take action. Is the heroine an amateur sleuth? Why does she feel compelled to look for answers? Is the villain a murderer? The villain has strong motivations and feels he is the hero of his own story. They must have compelling characteristics. Gardiner likes Moriarty as a villain as he clashes with Sherlock Holmes. Both men are obviously the heroes of their own stories. Even if you don’t know who the killer is until the end of the novel, you know there is someone out there doing bad things, perhaps a minion of the main villain. In Gardiner’s Dirty Secrets Club, someone is committing murder by forcing the victims to kill themselves. Forensic psychiatrist Jo Beckett, one of Gardiner’s serial heroines, has to track down the killer. The story must build bigger and bigger with plot twists and escalating pressure. There is continual revelation and shock. The characters have to make decisions under pressure. The key to the plot is action. Figure out what the chase is and cut to it. Start with action, not a lot of back story–no dream sequences. 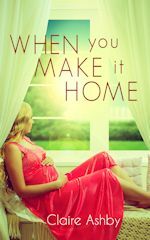 The plot has to be emotionally coherent or the reader will feel cheated and put the book down. To prevent that “sag in middle,” keep the tension up, develop the story, and build in progressive complications with big scenes, time pressure, and a ticking clock of some kind. The ending must be surprising, yet inevitable. You need some surprise, otherwise the result might be vaguely dissatisfying. Create a dilemma at the ending, forcing the protagonist to choose the lesser of two evils by making a difficult decision. Always make sure the protagonist is the one who takes action to resolve the issues. The hero/heroine has to take active steps at the end of the novel. Don’t try to pull a deus ex machina out of the bag at the end. What is a deus ex machina, you ask? In ancient Greek plays, an actor playing a god was literally cranked out from the wings onto the stage to resolve the ending of the story. He was sitting in a “god machine” made by ancient Greek stage hands, no doubt. This form of achieving a satisfying ending to the story is frowned upon in modern times. The protagonist must defeat the antagonist with her own smarts and heroism. 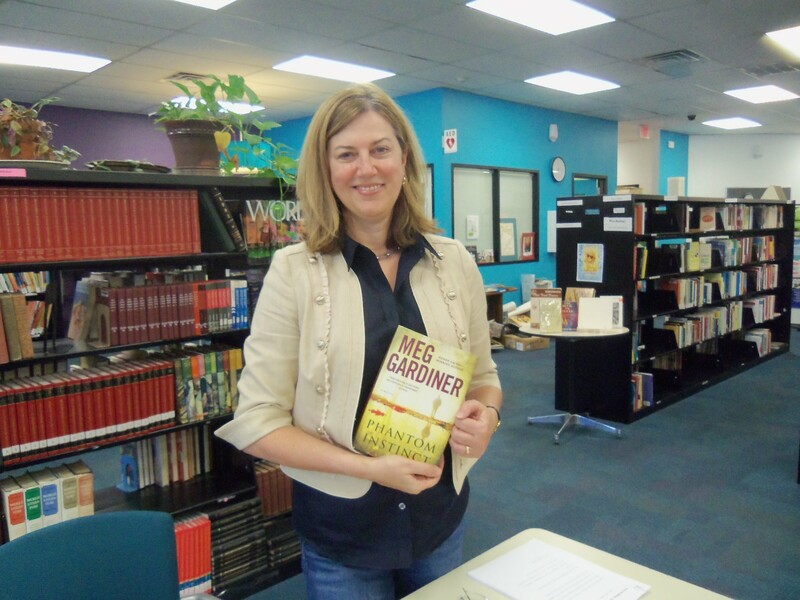 Meg Gardiner is an Edgar award-winning American crime writer who lives in Austin, Texas. Her best-known books are the Evan Delaney novels. In June 2008, she published the first novel in a new series, featuring forensic psychiatrist Jo Beckett. 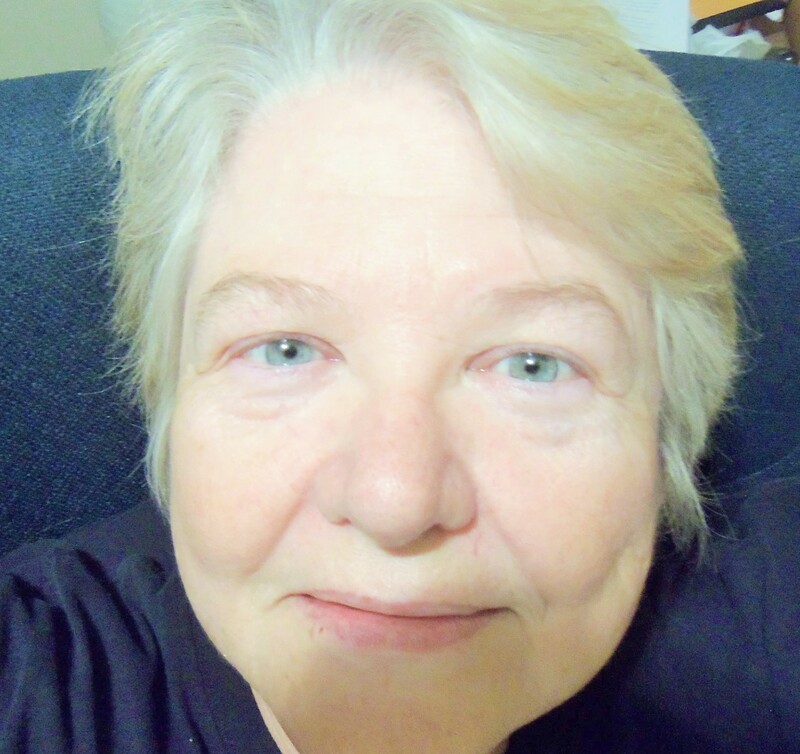 More recently she has published three stand-alone novels: Ransom River (June 2012), The Shadow Tracer (June 2013), and Phantom Instinct (June 2014). There’s something alluring about reference books for writers. You know the ones, lining the shelves at your favorite local bookstore. They beckon, encouraging us to come closer, to flip through their pages to discover their secrets. They promise to teach us everything we need to know about creating compelling characters, powerful plots and revealing dialogue. They offer to give us a glimpse into the writing life as experienced by those who have earned some modicum of success. These guides are filled with information, tips, anecdotes and motivation. They are filled with promise. I’ve always been a bit of a research geek. When I want to learn something new, I tend to go all in, diving into the topic quickly and deeply. Some would claim this fascination serves as a distraction, a way to procrastinate from the hard work of putting words to paper. I’ve read many blog posts cautioning us to abstain from the allure of the writer’s reference book. You must practice the craft, not read about it. “These books are yet another way to put off the actual work. Research isn’t writing.” And I agree with this sentiment. I believe that any activity that lures us away from honing our skills falls in this category. My weakness is weeding out closets. When I’m stuck–or afraid to tackle a project–I tackle a drawer instead. I’m a master at this method of delay. If I’m engaged in de-cluttering the closet, it’s probably because my mind is too cluttered to move my story forward. It is the writing reference guide that actually draws me back to the page. These books become the bridge that helps me return to the work at hand. 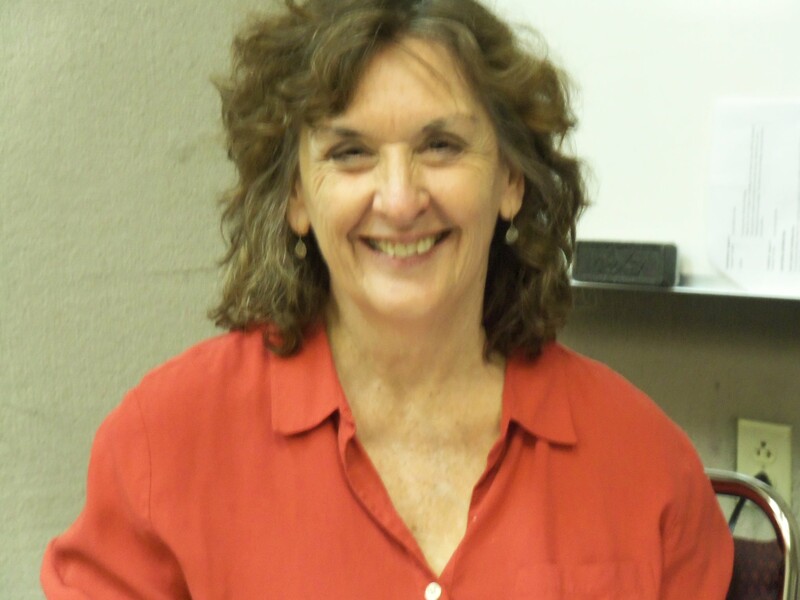 My current favorite is Alexandra Sokoloff’s Screenwriting Tricks for Authors. 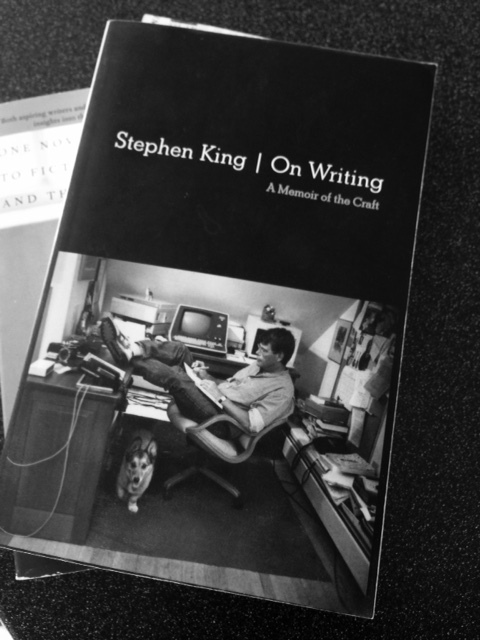 I keep Anne Lamott’s Bird by Bird, Stephen King’s On Writing and Stephen Pressfield’s War on Art on my desk, close enough to guide me through a tough stretch of writing. They keep me pushing forward when dealing with the messy middle of my manuscript. I confess to sometimes spending too much time searching for that perfect formula when I should be discovering the path through my own practice. Still, I rationalize this habit as one that encourages me to come back to the work rather than giving up on it entirely. And isn’t that what these books really offer? The hope, the gentle push to continue our efforts. And if they serve as a crutch now and again, well, that’s okay. I just call it research. What are your experiences? Which writer’s guides are your favorites, and do they help or hinder your daily word count? 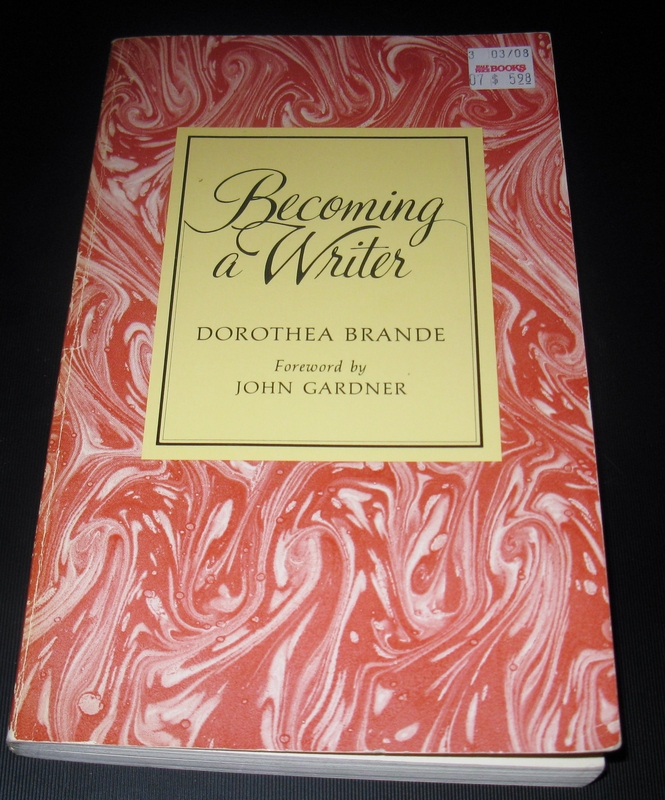 Julia Cameron, in her bestselling The Artist’s Way, published in 1992, named the process Brande advocated Morning Pages and made them the cornerstone of her Artist’s Way program. Cameron considers them a form of meditation. Why do Morning Pages? To quiet the internal critic; to tap into the subconscious; to discover what you know; to remember and to capture the present; to build fluency, the ability to “write smoothly and easily when the unconscious is in the ascendant.” (Brande, p. 72) And, as Koen notes, to whine and complain. At break time, I quoted to Karleen the first sentence of my Morning Pages: I don’t like Karleen any more. (I said it in bold font.) She laughed uproariously and asked if I knew how funny I was. I didn’t tell her I was dead serious. Before the end of the day I would like her again, and if I told the truth now, I would have to apologize later, and I just didn’t have the energy. Looking back, I’m ashamed of the thought, but at the time it seemed a darned good idea. Then I wrote. And whined. And complained. As I did, the garbage in my head moved down my arm, through my hand, and onto the page. By the time I got to page three, my mood had lightened. 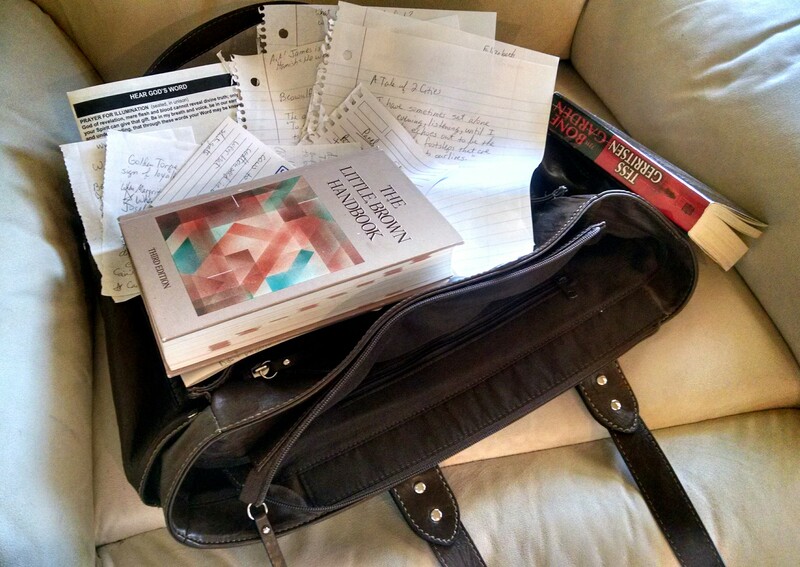 When I turned to other writing, the garbage stayed trapped inside the Journal. Oh–I’ve just remembered: A situation unrelated to fatigue once interfered with Morning Pages. 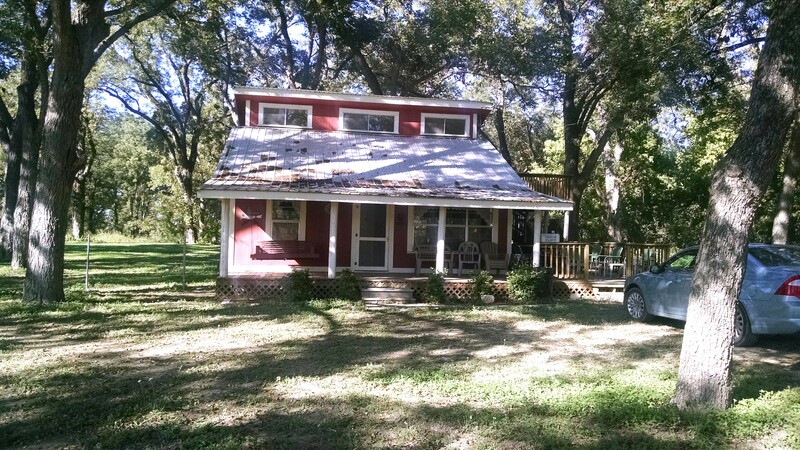 It involved the repaving of twenty miles of FM20, a wintry cold house, and a new box of cat litter. *Morning Pages is about the only habit I’ve ever managed to break. ** I’m not sure about sleep being necessary for good writing of all kinds. I suspect Hemingway, Faulkner, and Fitzgerald might have stayed up past bedtime. But I bet Willa Cather kept regular hours. And, as people with any discernment at all recognize, Cather is at the very top of the American novelist pecking order. Kathy Waller blogs at To Write Is to Write Is to Write (http://kathywaller1.com) and at the group blog Writing Wranglers and Warriors. She’s set aside her novel manuscript for a while to concentrate on writing short stories. For me, Tai Chi is the perfect complement for the writing life. A meditative, do-it-anywhere physical discipline that builds strength, flexibility, coordination and balance, Tai Chi is just the right tonic for a profession that involves a lot of solitude and sitting. Warning: More than one person, including yours truly, has been sucked into Tai Chi for life by this video. But the study of Tai Chi also promotes a character and frame of mind that supports the writing life. At Master Gohring’s Tai Chi and Kung Fu, where I’ve studied for five years, we remind ourselves at the end of each class that we follow the Five Hearts: Faith, Respect, Patience, Perseverance and Humility. The five hearts work for writers, too. Faith is not about religion; it’s about committing to your choice of discipline. In writing, it’s not indulging doubts about whether you should even try to write. I take it a step further and strive to keep faith in the book I am working on. It’s hard, when you’re struggling, not to go haring off after another idea entirely. Set aside the questions; have faith that you are meant to write, and meant to write this book. 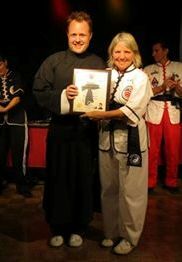 Respect: In Tai Chi, we respect the masters and teachers and students who have gone before us and from whom we learn. As writers, we respect the craft and the great writers who have gone before us, as well as other writers and other genres than our own. We respect readers, too, and opinions different from your own. We should even respect our own negative reviewers—or am I going too far? Just kidding. Respect is an attentive attitude, the antidote for carelessness, dismissiveness, and stagnation. Patience is remembering that you can’t do it all or learn it all in a day, or even a year—or many years. Your first draft is not a masterpiece. Of course not. Patience: give yourself a chance. 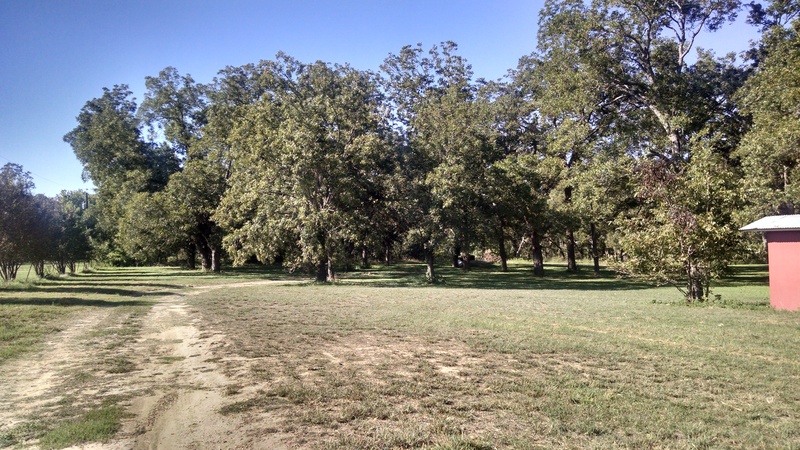 Tai Chi and writing both take time and work. Learning sword from a friend. Perseverance goes without saying. Setbacks and disappointments are unimportant. Those who quit cannot succeed. Humility: In Tai Chi, there is always more to learn, more that you don’t know. Same with us. Every book is a fresh challenge. The five “life skills” are affirmations with accompanying Kung Fu movements. They help build the attitude we strive for in our study of Tai Chi, and they work for writing, too. The path of self-mastery requires balanced emotions; balanced emotions do not yield to negativity. You don’t lose your motivation or confidence when you get a tough critique, a bad review or rejection, or when someone casually says something devastating about your efforts and goals. The path of self-mastery requires a courageous heart; a courageous heart shows strength in the face of fear. What are our fears as writers? Failure, scorn, bad reviews, the risk of putting ourselves out there. We resolve to meet fear with strength. The path of self-mastery requires a focused mind; a focused mind sees no obstacles. This isn’t about putting your head in the sand. An “obstacle” does not prevent you from getting to your goal. It’s just a challenge, a thing in the road, a problem to be solved so you can reach your goal. The path of self-mastery requires persistent action; persistent action achieves a goal without quitting. See perseverance above! Writing, like Tai Chi, is a discipline. 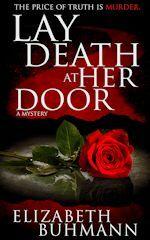 Elizabeth Buhmann is the author of murder mystery Lay Death at Her Door and has a black sash in Tai Chi. She also maintains an online Tai Chi Notebook. She studies Tai Chi at Master Gohring’s Tai Chi and Kung Fu in Austin and practices with a group of Chinese friends on the weekends. For those writers who dream of having several uninterrupted hours to write a novel but find those hours never arrive, maybe it’s time to consider another approach. It’s that fantasy that often keeps us from ever getting started–the common but sometimes detrimental belief that writing a novel will only happen if we have six hours a day of quiet time. I know that particular expectation derailed my own efforts more often than I’d like to admit. Between my work, my husband’s demanding schedule, and three kids who all play sports, the chance that I will have several interrupted hours in a row will only happen if I catch the flu and wind up in bed. This is true for most of us, isn’t it? The fantasy of writing all day colliding with the reality of a jam-packed schedule with the result being a persistent frustration surrounding why we can’t get this novel finished? Why can’t we get to THE END? I finally realized that I would need to figure out a method that would best work within the structure of my own life. For me, that meant searching for successful authors who juggled day jobs, kids and other demands. I’m a bit of a time management and organization geek anyway, so I used the opportunity to seek guidance. When I came across the Pomodoro Technique, I felt it might be just the tool to push my project along. Francisco Cirillo created the Pomodoro Technique in the 1980s and it has since become one of the most popular time management techniques used today. The word ‘pomodoro’ means tomato in Italian and the name came about because Cirillo used a kitchen timer shaped like a tomato when developing the concept. 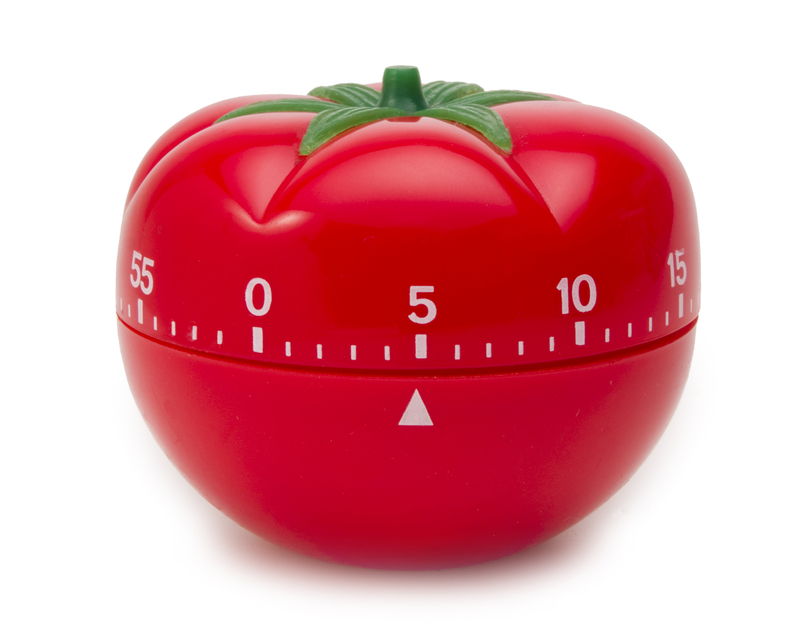 Here’s how it works: you simply write in a 25 minute block of time, called a pomodoro, and then you take a five minute break before starting the next pomodoro. After four completed pomodoros, you then take a 15-20 minute break. To keep your motivation up, mark each pomodoro on your calendar with an X or a circle. As you see these marks add up, they 1) help build momentum for your project and 2) show you just how much work you can do in short blocks of time. I found this strategy has helped me move my own work forward. In times past, I would discount even a fifteen minute block of time for fear that it wouldn’t make a difference. I realize now that I was wrong. I actually convert my pomodoros into 15-minute blocks because it keeps me from disregarding any small block of time. It often leads to 25 minutes of work, but only expecting 15 minutes means I’m more likely to give it a shot. This approach has changed my entire mindset when writing fiction. I no longer believe I need an eight-hour day of solitude to be effective (although I still dream about it). It does require some advance preparation on my part–keeping papers together, taking notes regarding the next scene to be written–but I am now working with my editor on my first book while writing my second. I am moving forward with my fiction, and if it happens 25 minutes at a time, that’s just fine with me. What about you? 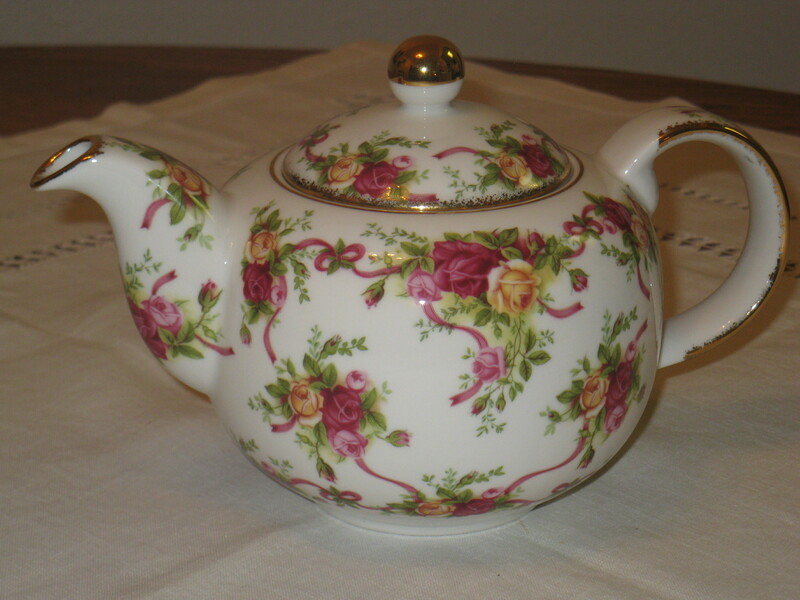 How do you balance your writing projects with your daily demands? Part One of the Gardiner Chronicles, wherein we learn about Big Dogs and Big Ideas. 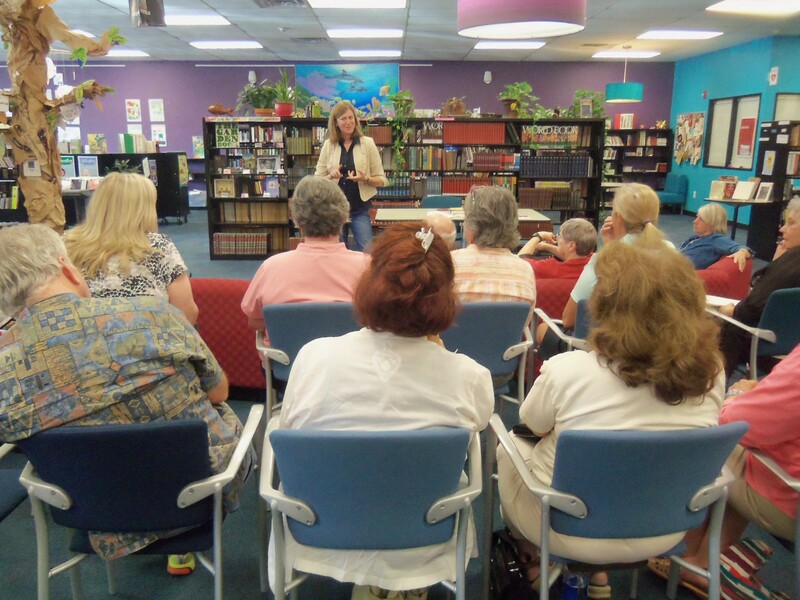 Meg Gardiner presented the August 10 program for Sisters in Crime: Heart of Texas chapter in Austin at Recycled Reads. In order to complete a 95,000-word novel, Meg Gardiner needed a compelling main character and a big idea to hang her story on. 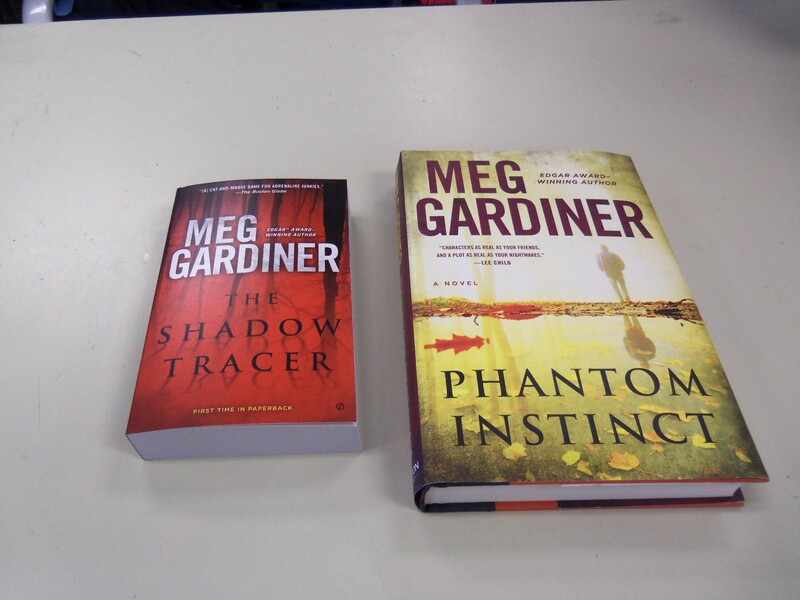 “It only took me decades to learn that,” laughs Gardiner, the Edgar-winning, best-selling thriller author of Phantom Instinct. Years after law school, when she came up with her first series character, Evan Delaney, Gardiner was married with three children. She could relate to Evan Delaney, a “girl lawyer,” although Evan was “more athletic than the author. 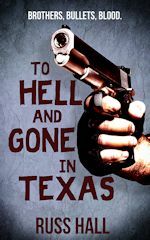 My first attempt was horrible, deadly, nothing happened in it.” The book was shelved. Her next novel got up to “thirty good pages” with a hit and run scene. The scene was long and slow. It turned out there was no reason for the hit and run driver to hit and run over anybody. In short, there was no plot. Project shelved. Gardiner finally finished a novel with a cast of thousands. 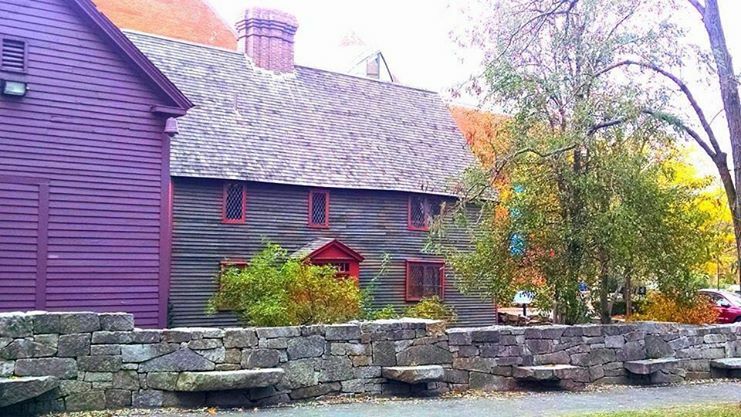 Although she called it a murder mystery, a friend pointed out that no one had been murdered. You guessed it—shelved. 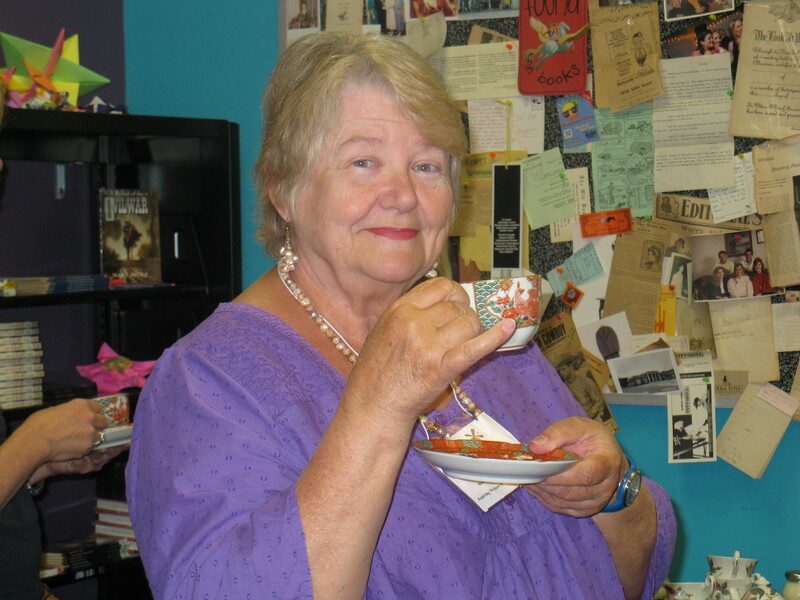 When her children were out of diapers, Gardiner was living in London and trying to get an agent with only three chapters written for a new book. She found Giles Gordon, an agent in London. She redid chapters but still got rejections. “I hope you’re feeling tough,” said Gordon on one memorable occasion, when he showed her a publisher’s reply to her submission. The two-page, single-spaced letter said the manuscript was horrible. Finally, China Lake, the first Evan Delaney novel, was ready for prime time. A British publisher made an offer and China Lake was published in London, translated into other languages, and sold in Europe. But United States publishers did not want it. When she wrote Mission Canyon, the sequel to China Lake, the land of her birth didn’t want that one either. It was snapped up by European publishers. This happened five times in a row with the Evan Delaney series. She could find a copy of her books in Singapore, but not in California when she went home for a family visit. She joked that her relatives probably thought she was fibbing about being published. 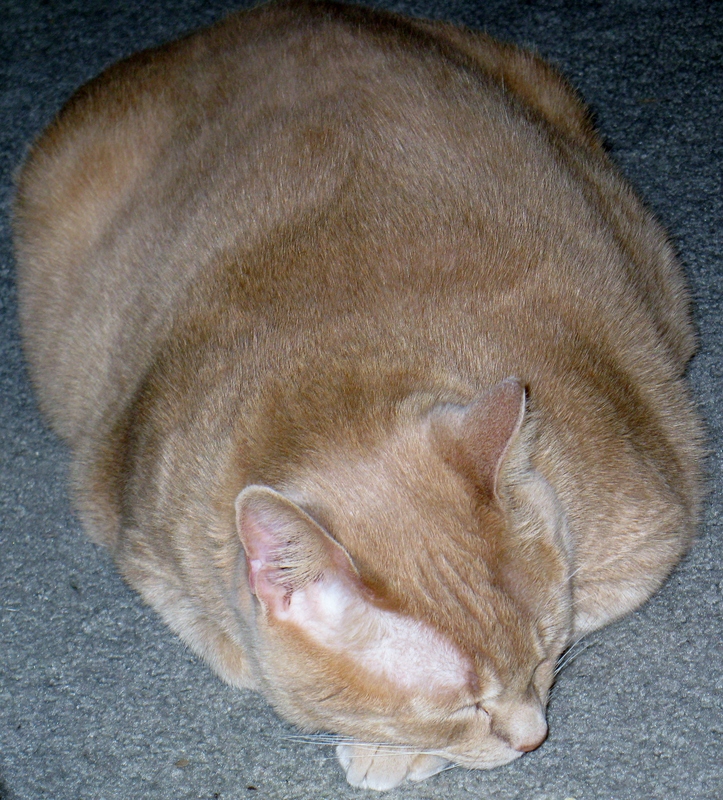 Then along came good ole Serendipity, AKA Stephen King. 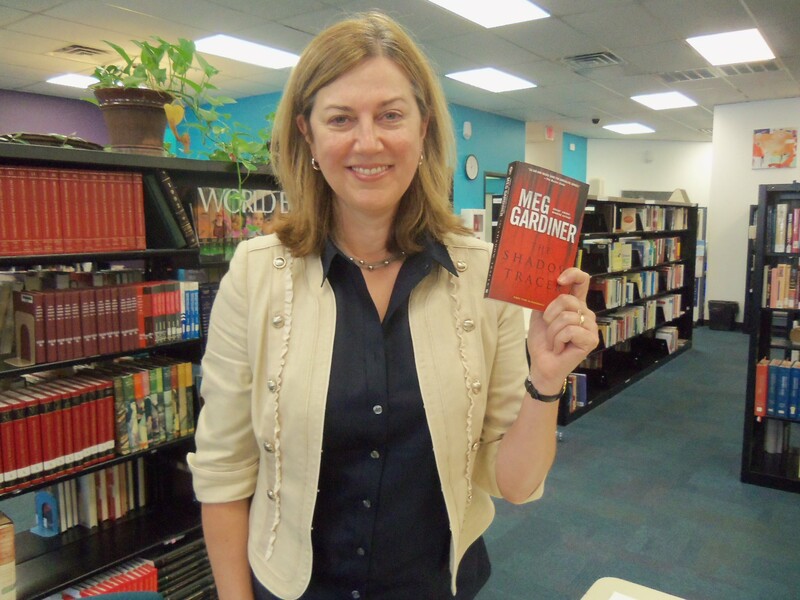 Gardiner’s British publisher gave copies of all her books to Stephen King, who mentioned her in a column he wrote for Entertainment Weekly and encouraged people to read her thrillers. 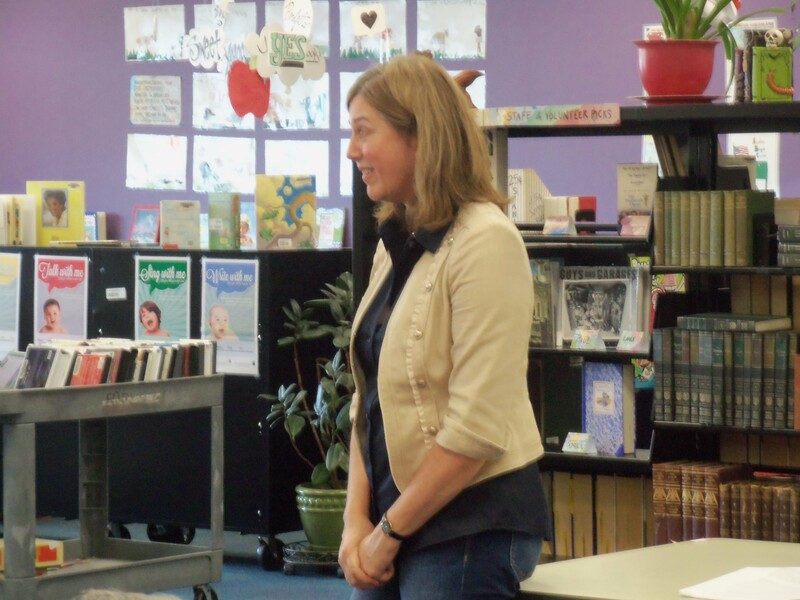 Almost immediately, she got offers from about fourteen different U.S. publishers. Had Gardiner been languishing with a hanky, worrying about not getting U.S. publishers all this time? She had not. Like any serious writer, she was working on new material, a series featuring Jo Beckett, a forensic psychiatrist. She took an offer from Penguin to have the first Jo Beckett novel published, The Dirty Secrets Club. “You must be ready when opportunity knocks.” You never know when Stephen King is going to turn your world upside down. Stay tuned for Part Two of the Gardiner Chronicles, wherein we learn about Writer Work Ethics and Plotting 101. Coming to a blog near you in a few weeks.